While we can appreciate our rain shelters given that the monsoon season is going on, we're not quite sure what's the purpose behind the construction of these two shelters. The first shelter is said to be at Bishan Street 13 while the other is at Jurong West Street 52. On Jan 13, Stomper Ling sent in a photo of a newly constructed shelter at Bishan Street 13. However, the shelter is isolated and not connected to the nearby Bishan Community Club or the bus interchange. She told Stomp, "When it rains or shines, there is no shelter at both ends. Not sure what was the intended design purpose of this shelter? To shelter and protect the traffic lights?" Another photo of a "pointless" shelter that has been making its rounds online, is a shelter that was built next to a traffic light crossing, said to be taken at Jurong West Street 52. 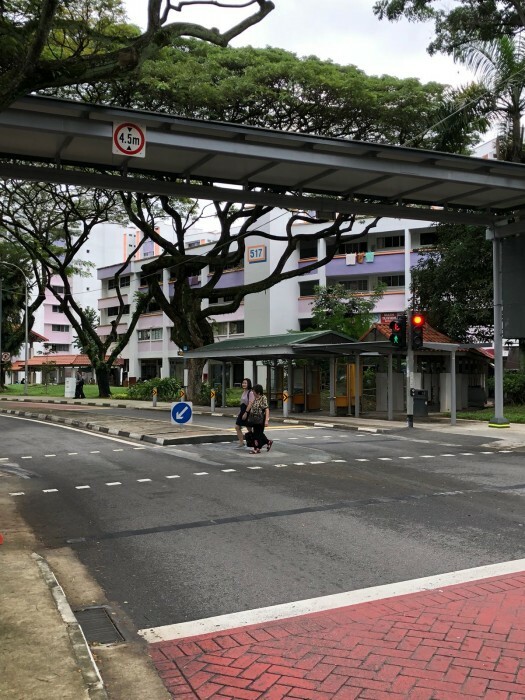 In a viral post from the Facebook page Our Singapore, a photo shows the shelter which is located next to the traffic light crossing and not directly above the traffic light crossing like most shelters are. "Contractor activated and has just completed rectification work within a day," read the update on the post. Mokhtar Moz, the netizen who took the original photo, also said on Facebook, "Kena complaint. They got contractors to finish the work on a Monday morning from Sunday. Good job internet brigade." "As part of the Land Transport Authority’s Walk2Ride programme to provide sheltered connectivity, a high-covered link-way was constructed across Jurong Street 52. "To ensure the existing trees and underground utility services are not affected, LTA had planned for the high-covered link-way to be built first and then for the existing signalised crossing to be shifted under the link-way after the Linkway has been constructed. "Works were in progress for the alignment, which were completed on 14 January 2018. We thank the public for their feedback and understanding. "We will make improvements to streamline our work processes for the construction of covered link-ways in the future."